This is one of the more unique items I picked up while in Japan. It’s a plastic case designed to hold an IC card — those cards with a chip on them that you can just hold next to a reader to scan. 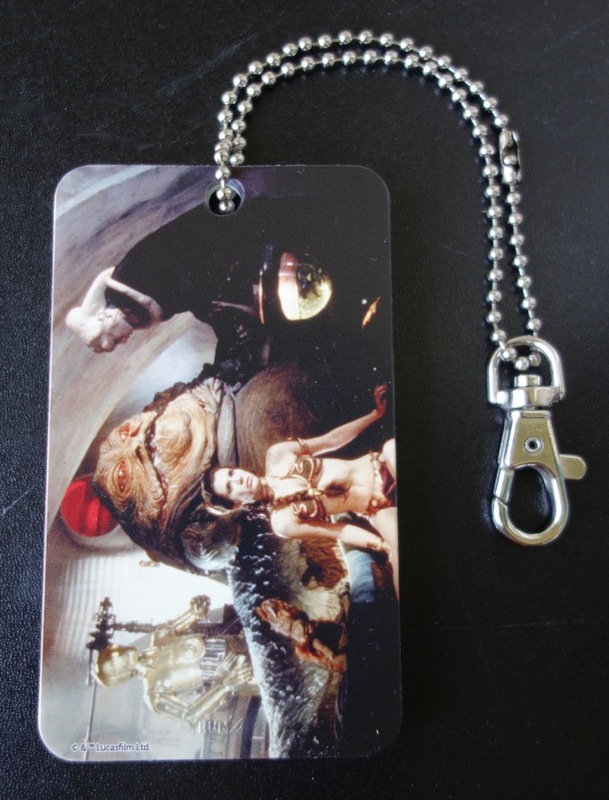 It’s got nice, high-quality photos on both sides: Jabba’s face on one side, and the most common shot of him on his throne (along with Slave Leia et al) on the other. Since the IC card doesn’t need to pass through the reader or anything, you don’t have to be able to see it or take it out at all. You just leave it in the case, touch it to the reader, and go. 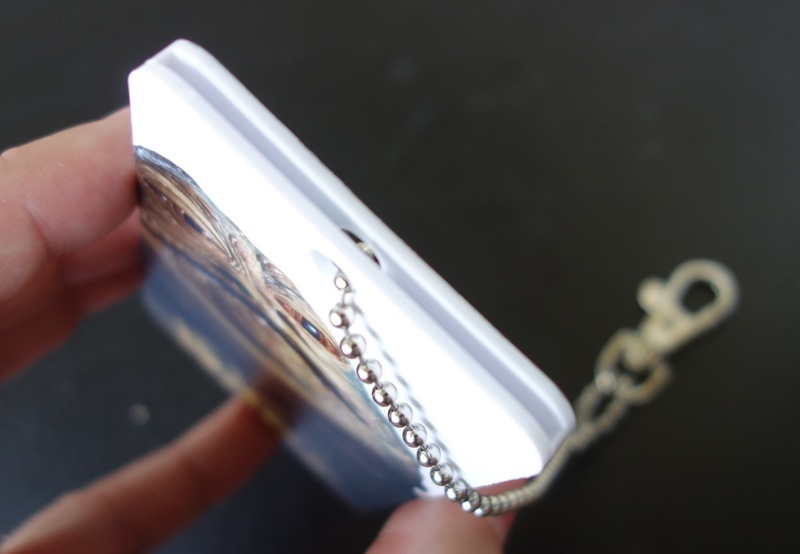 As you can see below, the card is kept in the case by the ball chain. I would think most people would attach it to their bag. 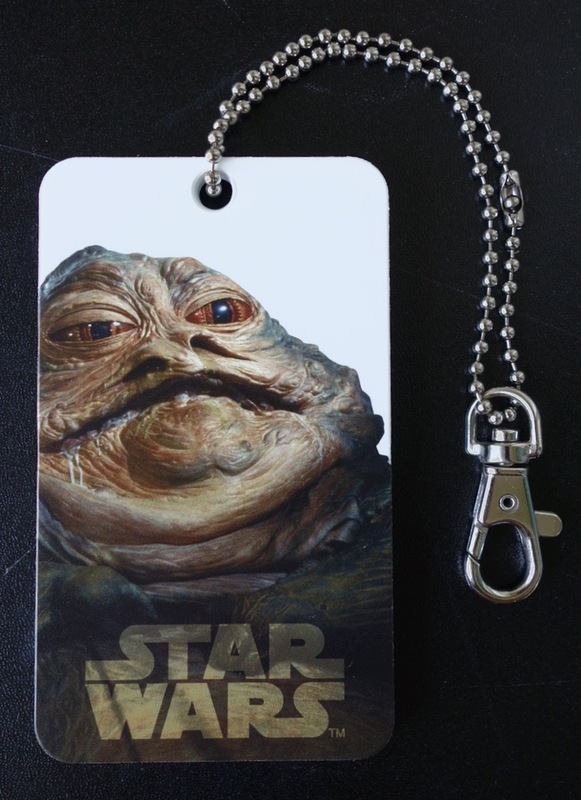 I imagine this is primarily intended for use with bus or train travel passes, but there might be other uses as well. Run’a made a total of 10 different designs, all of which can be seen here.